It is difficult to know just where to place the most recent episodes of Mad Men, as we simply lack the same perspective on them we have for the show’s many longstanding classics. Yet it is impossible to watch an episode like “Lost Horizon” and not feel like it is, in so many ways, one of the best and most exhilarating hours the series has ever done. From Don Draper looking out the window of the McCann Erikson building, staring at airplanes and dreaming of a life beyond the walls of advertising, to Peggy and Roger sharing a final day together in the gutted SCP office, to Joan verbally shredding Jim Hobart for the rampant misogyny of his company – and then, ultimately, being quietly destroyed by the sad inevitability of her position – “Lost Horizon” is one of those Mad Men episodes that just sings, from top to bottom, beginning to end. The episode feels in large part like an elegy, a conscious farewell to an era for both these characters and the show they star in, and it is such a glorious ode to the show’s unparalleled ability to blend tones and weave characters together, creating a tapestry that is so much richer than a mere summation of parts. And as a send-off for director Phil Abraham– who helmed more episodes of the series than anyone else, and who took his series bow here – “Lost Horizon” is just lovely, with one shot in particular – a pan around Roger, playing the organ, while Peggy skates about the office – that would easily make my list of the greatest individual Mad Men images (the later shot, pictured above, of Peggy walking into McCann with cigarette, sunglasses, and sexual octopus picture in tow, would be there as well). 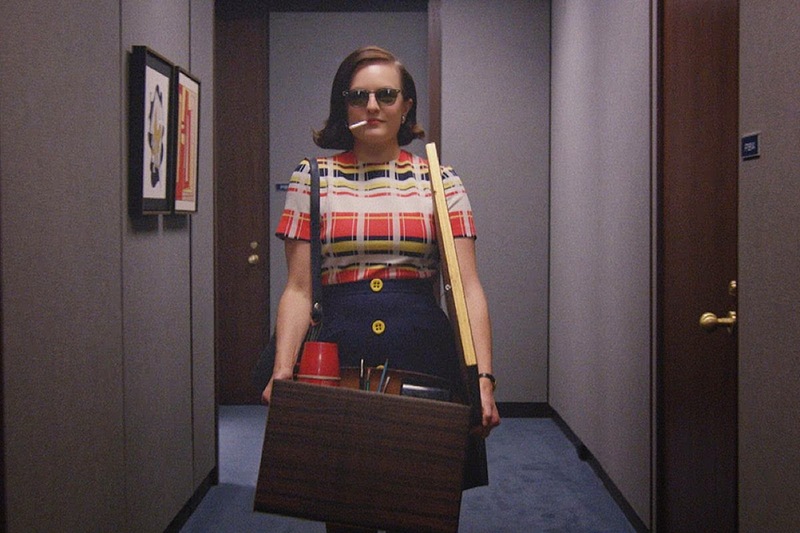 The prospect of Mad Men ending was always going to make me sad, no matter what. An hour like “Lost Horizon” made the reality of the looming conclusion positively torturous, even as that sense of finality was much of what gave this great episode its power. In general, the episodes Mad Men built around major historical milestones – the assassinations of John F. Kennedy and Dr. Martin Luther King, Jr., for instance – are among the weaker hours of the series, with introspective character drama being supplanted by an awful lot of TV-watching. It may feel historically ‘appropriate,’ but it rarely feels like a truly significant moment in these characters’ lives. “Meditations in an Emergency” is a major exception, as the Cuban Missile Crisis brings the heady themes of a dark season 2 to a head, and the threat of looming death throws each character into an existential quandary. In a season that saw characters questioning the distance between how they see themselves and how they want to be seen, history brings about a series of interpersonal reckonings, and the results are spectacular. Don comes home from his unplanned ‘soul journey’ in California to try repairing things at work and at home, but finds himself greeted by a world that seems to have broken while he was away; the agency is preparing to sell itself to the British firm PPL – largely to pay for Roger’s costly divorce – Duck Phillips is scheming to take over as the agency’s President, and at home, Betty is so disillusioned with her domestic life that, when she discovers she is pregnant, she considers having an abortion, and even embarks upon a one-night affair (with Captain Awesome from Chuck, no less). Don uses his gift for rhetoric to repair things as best he can, pitching PPL on the worth of creativity to give Duck Phillips the boot, and telling Betty, in one of the best and most prophetic lines of the series: “You won’t be alone for very long. But without you, I will be alone forever.” But even with things put back together, the question still lingers: When lives have been broken, in one way or another, can you ever really go back home? The last image of the episode, of Don and Betty sitting quietly at the kitchen table together in somber contemplation, summarizes the themes of the season beautifully. When you have lost a part of yourself, through sin or tragedy or simple inattention, can it ever be found again? This is the idea at the heart of the episode’s best moment, in which Pete attempts to confess his love for Peggy, and she gently smacks him down by telling her about the child they accidentally conceived, and which she gave away to live the life she wanted. The quote at the top is the center of Peggy’s monologue, and one of the absolute best, most honest, and most heart-wrenching pieces of prose Weiner and company ever delivered – all of it performed tremendously by Vincent Kartheiser and Elisabeth Moss, in one of the all-time great Mad Men acting duets. Slowly but surely, Peggy has started building the life she wants – but to do so, she had to leave a part of herself behind. That loss will always be with her, but it shall also be her strength and fuel. It is, simply put, one of the most powerful statements Mad Men ever made. I am tempted to simply transcribe the entirety of the glorious comedy routine from which the above quote comes, as Pete and Trudy’s confrontation with the snooty prep school principle is damn near the most perfectly funny moment this frequently hilarious drama ever gave us. The great thing about “Time & Life,” though, is that as with Mad Men as a whole, it manages to pepper some truly sidesplitting comedy amidst material that is, on the whole, incredibly dark and challenging. “Time & Life” is to Mad Men what “Ozymandias” was to Breaking Bad – the hour where the myths these characters thought they were living come crashing down around them, and this period of their lives comes to a sudden and premature end. Structured for its first half like one of the classic Mad Men ‘heist’ episodes – “Shut the Door, Have a Seat,” “For Immediate Release,” and “Waterloo” – Don and company scramble to establish ‘Sterling Cooper West’ in the face of absorption by McCann Erikson, and it is all fun and snappy and quick on its feet in the way we expect these episodes of Mad Men to go. But then the partners meet with Jim Hobart, and the hammer is brought down, and these characters we have followed throughout a decade of life are suddenly left without an agency, an identity, or even a direction. The scenes that follow are magnificent – the partners drinking through the pain after the meeting is as close as we’ll ever get to being at the Mad Men wrap party – but what hits me hardest about “Time & Life,” personally, are the moments around the periphery, particularly those involving Peggy. Her telling Stan the story about the baby she gave up for adoption isn’t as powerful a scene as its sibling moment in “Meditations in an Emergency,” but it packs a hell of a punch in the overall context of this hour, and the final exchange between her and Stan – where she asks him to stay on the line with her over the phone, just to know he’s there – is one of the nicest little character interactions the series ever gave us. With “Time & Life,” Weiner and company simultaneously signaled the beginning of the end, and also announced that they were not going gentle into this good night, kicking off one last creative hot streak that was immensely satisfying to watch unfold. 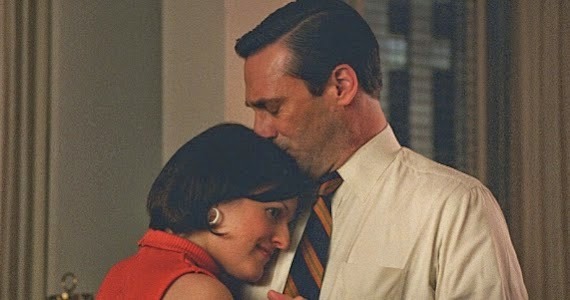 If we were making a list of the greatest Mad Men moments, the standout sequence of “The Strategy” – Don and Peggy, reconciling one last time, and dancing together to Frank Sinatra’s “My Way” – would more than likely make the Top 5. 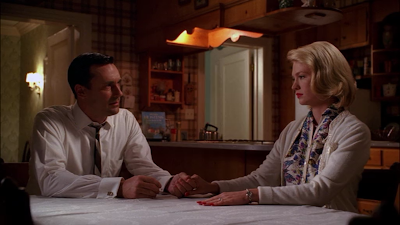 In the arc of Don’s life over the course of the series, reaching out to Peggy in this way is one of the most significant gestures he ever makes, because for one of the first times in perhaps his entire life, Don Draper shows genuine empathy towards another human being. With the assistance of that most poignant song in the background, he realizes that Peggy’s pain and struggles are worth more than his – and that a recognition of the inherent worth of others, including those he should, ostensibly, love, is the biggest step Don needs to take if he wants to become whole again. 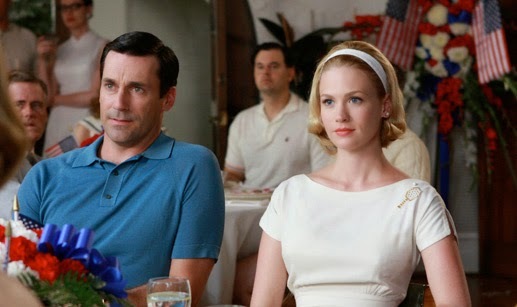 The rest of the hour isn’t quite at that level, though few pieces of Mad Men (or television in general) are. Like many Mad Men episodes, this one is viewed through the prism of ad work, in this case the difficulty Peggy faces in coming up with an effective campaign for Burger Chef. The strategy is to sublimate the guilt of fast food so that it feels like a ‘treat,’ turning familial discomfort into smiles – just as the agency is, at this point, a collection of people feigning happiness in their professional and personal lives. And just as Peggy and Don spend a long evening exploring the heart of that idea, every character, throughout the hour, is forced to strip away the veneer of their existing relationships and look at the pain, confusion, or anxiety they are repressing. Megan has largely given up on trying to live a bicoastal marriage with Don, and while she wears a happy face, her decision to move all her belongings back to L.A. tells Don, more directly than ever before, that this marriage is dead. Pete tries to reclaim a happy family life with his daughter, only to find that Tammy doesn’t even recognize him, and that the wounds between him and Trudy are still too raw to bridge the gap. Bob Benson proposes to Joan as a way to give both of them a boost in social standing – giving Bob ‘respectability’ among his executive peers, and Joan a chance at a more materially rich life – but Joan doesn’t want to live a lie, and cannot pretend she doesn’t want something real (“…I want love. And I would rather die hoping that happens, then make some arrangement. And you should too.”). In the end, it all comes back to Peggy and Don, who once again find strength in each other. Don Draper has screwed up many, many things in his life at this point, and the question still stands as to whether or not he can fix any of them. But Peggy is someone he need not be in doubt of – and for that brief moment, when they dance together to “My Way,” all seems right with the world. It is one of the most profound images this great series ever conjured. 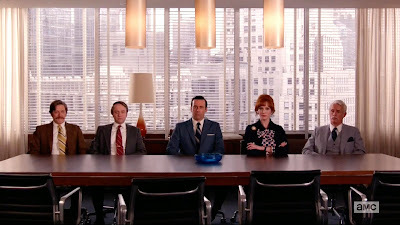 The eternal conflict between how we see ourselves, how we are seen by others, and how we want to be seen is the fire burning at the heart of “Maidenform,” an episode that is so quintessentially, prototypically Mad Men that it is little surprise this is reportedly Matthew Weiner’s favorite episode of the series. In one of the most obvious and effective cases of the advertising doubling as symbolism, Don and company pitch a Playtex ad in which one woman dons the appearance of both Marilyn Monroe and Jackie Kennedy, chauvinistically assuming that obsession with outward appearance is the key to unlocking the feminine mind. That’s a piece of the puzzle, certainly, but as “Maidenform” suggests, how we see ourselves – or, more often, refuse to do so – is even more fundamental to the human condition. Bookended by moments in which Don Draper looks in the figurative mirror of his daughter’s eyes – seeing pride and happiness both times, his guilt making it too painful to bear on the second occasion – the episode is filled with mirrors, doubling, and painful, lacerating moments of self-reflection. 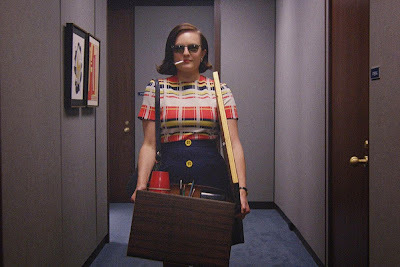 Peggy continues dressing like the naïve young woman she was at the start of the series, and on Joan’s advice, transforms herself at the episode’s end not only to navigate this patriarchal world, but to express the confidence she so strongly wants to put forth. Betty tries wearing a ‘revealing’ swimsuit for a day at the pool with the kids, but Don shames her into changing, illuminating the gap between Betty’s sense of individualism and Don’s need to ‘own’ her. And in one of the hour’s most surprisingly effective subplots, Duck Phillips finds himself taking care of his old family dog, Chauncy, and the mixture of emotions he feels looking at her – primarily shame and regret for the loss of his family – prompts him to release the dog out in the street so he can go back in his office and drink without witness. 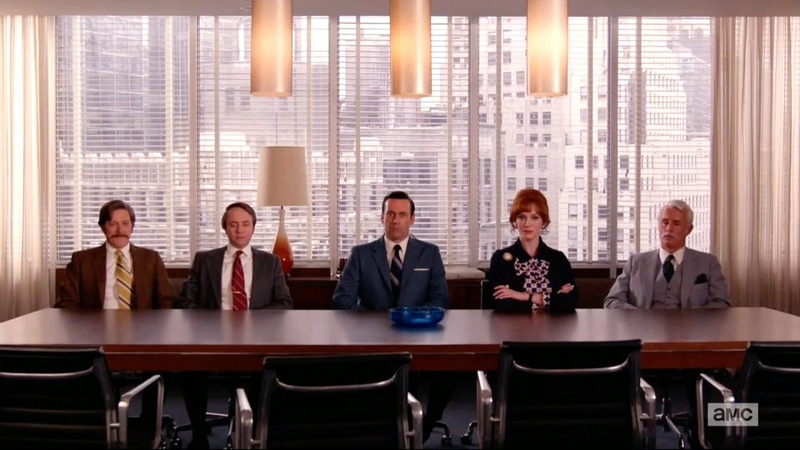 Come back tomorrow as our journey through Mad Men's greatest hits continues, with #15 - #11 on the countdown, and throughout the week as we say farewell to this incredible show.